That moronic response was in reply to an audience member who was asking how Democrats can justify pushing gun control when it was clearly the presence of a gun in the hands of Willeford that ended the attack. Can you believe it? And this is a guy who wanted to be President. In fact, at a spry 75, he will probably run in 2020 for the presidency at age 78. It just goes to show that you can live a long, long clueless life if you are a Democrat. On November 6th, Texas officials credit Willeford with stopping a massacre that killed 26 and wounded 20. He is a former NRA instructor and a current NRA member, as well as a plumber. When the shooting began, his daughter ran to him in their home to tell him. He grabbed his AR-15 and ammo. He loaded as he ran barefoot to confront the shooter. He shot the killer twice in between his body armor, causing him to drop his rifle. The guy fled in his SUV and Willeford jumped in his neighbor’s pickup truck and they gave chase, going 95 mph and calling the police to tell them where they were. Said killer crashed his SUV, called his father one last time and then put a bullet in his brain from another gun in his car. 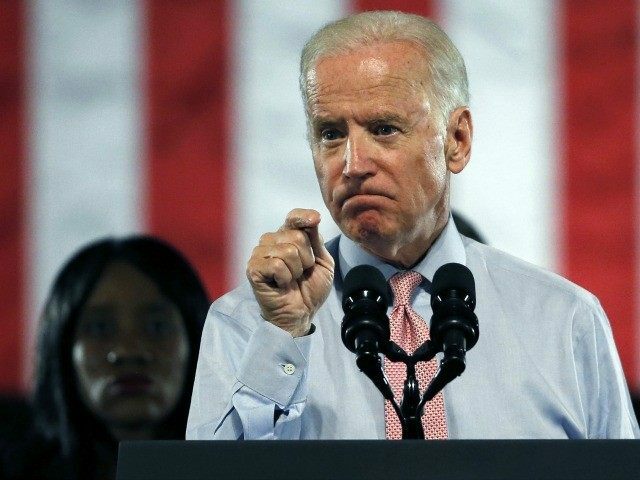 Biden went on, “Number two, it’s just rational to say certain people shouldn’t have guns. Now the fact that some people with guns are legally able to acquire a gun and they turn out to be crazy after the fact, that’s life. There’s nothing you can do about that.” I think he missed the whole question of how Democrats can justify pushing more gun control in light of the fact that an armed citizen used a gun, an AR-15 in this case, to stop the Texas church attack. Perhaps Uncle Joe was distracted by the young lady. His mind tends to wander, just like his hands do.